In my early twenties I went through a phase when the late Stevie Ray Vaughan was my favourite ever guitarist. I say a phase, but for the type of stuff he played I still doubt there's anyone to beat him. I've got various LP's of his languishing in my mother's loft somewhere, which shows you what kind of timescale it is that we're talking about. Anyway, when I was through at the Fort last night looking for dogproof fridge catches I wandered into HMV and stumbled across a "Best Of " CD for a *bargain £6. Well, that rekindled a few memories. And then I remembered a cover version that he used to do of one of my all time favourite songs. And then, by the power of You Tube, I discovered that he sometimes played said song along with the mildly well-known composer thereof. I think it's fair to say that the folk in this video are all enjoying themselves. 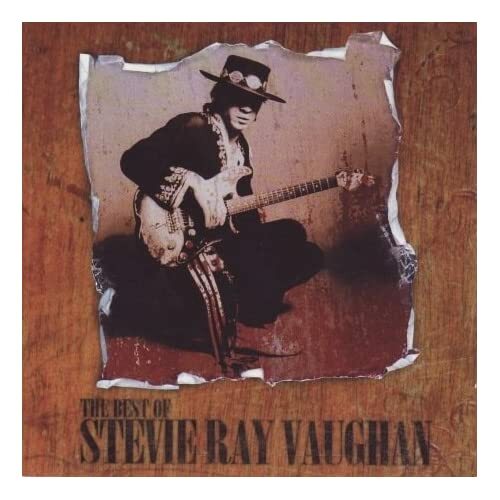 And SRV's "cowboy hat with mink tail" is, without a shadow of a doubt, the most fantastic bunnet ever invented. *I discovered later that Amazon had it for £3.83, but it's no' taken the edge off my enjoyment!